Have you ever wondered what a Stage Manager does? We have taken a moment to quiz Ros, one of the busiest KLP SM’s to find out exactly that. 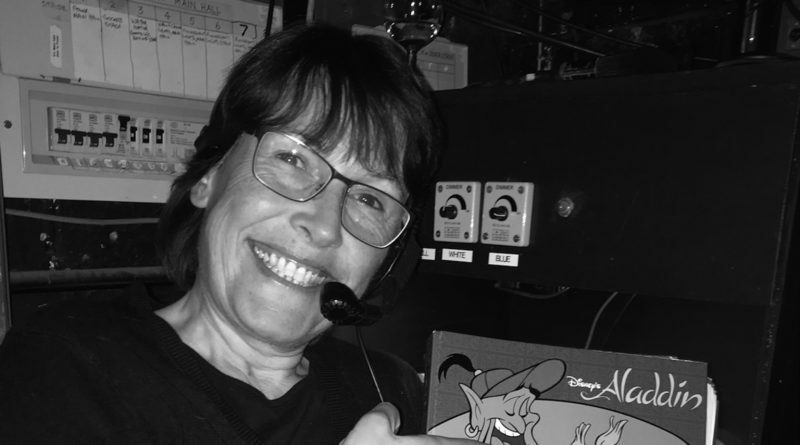 In a nut shell a stage manager is the person responsible for monitoring the crew, calling cues, coordinating scene changes while “ssshhhing” actors, locating missing props and children, duct taping broken set pieces – all in the dark and attached to a headset without tripping, swearing or murdering anyone! Oh – and I buy the biscuits for rehearsals!! What is different about SMing a panto? As above except there is a bigger cast sometimes including animals, more scene changes and less time to do them in, more to go wrong and always the chance that the script will change due to audience participation! There are also special effects involved and this year is no exception – make sure you have your tickets to see the treats we have in store! Why do you like being involved in panto so much? Panto is definitely more of a challenge than other shows but there is nothing more satisfying than hearing an audience enjoying themselves and joining in – even if I have heard the jokes many times before. I love the rush of adrenaline when the band starts the overture although by the third performance on the Saturday it takes a lot of concentration to keep track of where we are in the show. What was the first panto you were involved in? Hmm, that was a long time ago! I started dancing at the age of 3 but my first panto was when I was about 10 – Old King Cole at the Winston Churchill Theatre in Ruislip when I was one of the children – happy days. I can still remember the finale song and walkdown! As far as how many pantos I have stage managed – I must be in double figures by now so I think I know what I’m doing! So if you fancy finding out what special effects we have in store for you this year, book your tickets now. Nearly 50% of the matinee tickets have gone already, so be quick if you want to grab those!